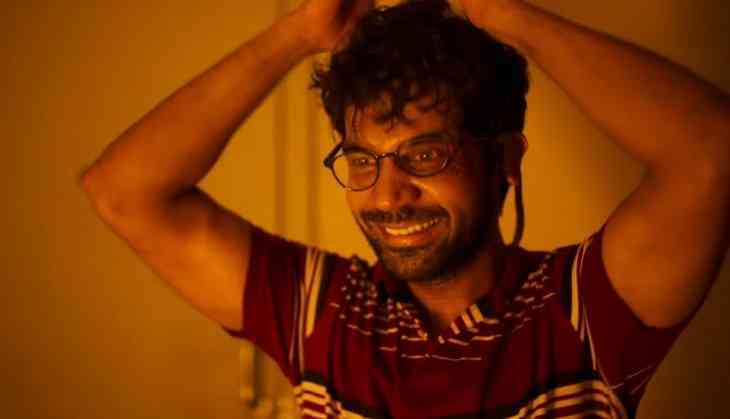 In the last six months, Rajkummar Rao has lost weight, gained some and chopped off his hair to appear half-bald, all in the service of his craft. The actor, who turned 33 today, however, says the physical transformation is just one aspect and there is nothing special about it. In an interview with PTI, Rao says, "It has never been about me; acting is not an ego game. It is always about the character and the film. I can't be thinking about how I look, who my co-stars are or whether they have a better role than me." It has been a great year for Rao, who wowed in films such as "Trapped", "Behen Hogi Teri" and "Bareilly Ki Barfi". His role in "Bareilly" impressed Amitabh Bachchan so much that he sent a handwritten congratulatory note and a bouquet of flowers to the actor. Rao says as someone who fell in love with acting, he will never do anything that requires calculation. "I could have done anything in life. It is something that I am doing for myself. So if I am in this profession, I have to be completely honest to it. My responsibilities are always towards my characters, not towards me or what others think about me." His next release is "Newton" where Rao plays an election officer trying to get voting done in a Naxal-affected area. Then the actor has again collaborated with Hansal Mehta for "Omerta", which recounts the real-life story of the infamous British-born terrorist, Ahmed Omar Saeed Sheikh, who kidnapped and murdered Wall Street Journal reporter Daniel Pearl in 2002. Mehta and Rao have also ventured out into the digital space with the 10-part web series "Bose", where Rao will be seen playing Netaji Subhas Chandra Bose. Mehta first worked with Rao in "Shahid", which was based on the life of slain human rights activist Shahid Azmi, and won Rao a national award. Mehta went on to repeat the actor in "CityLights" and "Aligarh". "I feel very lucky to have found Hansal sir in my life. You need somebody who always pushes you as an actor. He always offers me something which I have not done before or which I have not imagined myself doing," Rao says, elaborating on his his special bond with Mehta. The actor says for "Omerta", he went into a really dark space but it was exciting to play such a negative role with the same filmmaker who directed him in "Shahid". "It's an unconventional film for both of us. It's in stark contrast to what 'Shahid' was. Because I have done 'Shahid', it was great as an actor to do an absolutely different character with the same director." "Bose" is a dream role for Rao and he went all out for it because, he says, not many get the chance to play the founder of the Azad Hind Fauj. The actor says his hairstylist was aghast when he told him to shave off the top of his head. "For 'Bose', I had to physically try and resemble him as much as possible. I can't exactly look like him but if I can make it believable, then my job is done. We had an option to use prosthetics but that would have restrained me as an actor. "I try to keep things as natural as possible. This is why I have gone half-bald. It really helped me." Rao's filmography has more films that come from the content-driven space than from mainstream commercial area but that does not worry the actor much. "Luckily for me, I have not been typecast as of yet. I'm not carrying a certain image. This is why when 'Behen Hogi Teri' and 'Bareilly' came my way, I took them up. I thought it would break the convention of the romantic hero. There is a certain body and style attached to them. I wanted to break that and make this romantic hero real, one of our own." Rao reveals that the monologue in 'Behen Hogi Teri' was improvised and he actually downed a bottle though in real life he is a teetotaller. The actor says though his roles in both the recently released films were praised, he is in no hurry to jump into a commercial film just because people expect him to. "I have been getting commercial film scripts since forever. Every week, I get one or two 'hero-wali' script. But if my heart is not there and the story doesn't make sense to me, I won't do it. The conventional roles have been done to death and there is no point in following the herd. I will rather do a 'Trapped' or 'Newton', where I'm more satisfied as an actor.